What normally happens is the sufferer will continue to exercise without leaving enough time for the muscle and/or tendons to heal appropriately. This in turn leads to more frequent and intense bouts of discomfort. The shoulder is particularly prone to this accumulative type of injury because of its lack of anatomical congruity. What does this mean? Take the hip joint as an example: the hip is a very deep ball and socket joint, so it’s congruent because it fits tightly together with very large and strong ligaments that ensure its strength. However, the main joint in the shoulder, the glenohumeral joint, possesses no such congruity. It is very reliant on the rotator cuff muscles and other localised soft tissue structures to increase its congruity. This fact, along with our need for a large amount of movement in the shoulder, means the shoulder muscles/tendons are at a much greater risk of such strains and tears. When muscles are strained, torn or injured, the whole system can become unbalanced. Muscles like the biceps have to overwork to try to compensate for weakness and instability in the shoulder, and this dysfunction can cause tendon inflammation, while tissue repair is often inhibited, leading to a longer-term and more painful problem. In some cases, tissue changes can be permanent. So, what starts as discomfort in the upper arm, which suggests that the biceps or a rotator cuff muscle may be compromised, progresses steadily to become a painful and debilitating injury requiring enforced long-term rest. 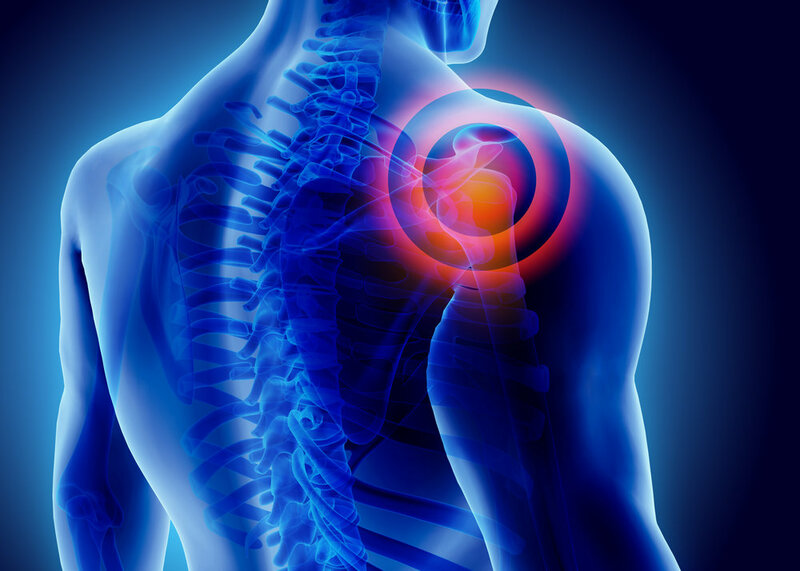 Therefore, it is better to proactively seek treatment at the early stages of any shoulder issue, rather than wait until it is regularly painful. If weight training forms part of your fitness regime, it is best to use lighter weights, perhaps increasing repetitions at the same time. This lighter type of training will flush blood through the area, which promotes recovery and at the same time decreases stress to the injured area. Similarly, if you do lots of ‘body resistance’ workouts, you will need to be very mindful of the shoulder. You may need to stop or adapt exercises such as press-ups, burpees, planks, hot-hands, etc, for a while. Icing the upper arm/shoulder area to reduce swelling and inflammation is central to effective self-management of shoulder problems, particularly after training (see my previous article on using ice and heat treatments). In short, if you want to beat it, treat it sooner rather than later. Any queries or questions, please do get in touch.